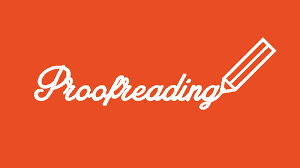 Go on online and Google “proofreading services uk”, “dissertation proofreading services” or “book editing services” and you will most likely get hundreds of results, ranging from advertised proofreading services providers to those that appear in the organic search results. A dilemma? Indeed, it is. But why? · We have the best editors and proofreaders, and our editors are highly qualified and graduated from leading universities. · If you are not happy with the service, you will have a refund. A myriad other promises from proofreading services providers are out there. 1 - A student or a postgraduate who has just finished writing an essay, a dissertation or a scientific paper that you want to get published and you are looking for a professional proofreader or editor to edit and proofread your paper to ensure it has no mistakes and that it makes sense to your intended reader. 2- A book writer who spent days, weeks, months and even years writing a book or a novel and do not want all this effort to go wasted because of wrong punctuation, bad grammar or spelling errors, or more importantly because of a broken narrative or a gap in narration, etc. You are looking for a proofreader or a copy-editor to go through your text with a needle to spot and fix any language issues. 3- An individual who is looking to have their CV or cover letter for their dream job professionally edited and proofread in order to ensure it is error-free and it will have the desired impact on your potential employer. 5- A professional blogger who needs a fresh pair of eyes to go through what you have written to make sure it is in the right order and format and flows nicely as intended. What to do? How to choose? How to make a decision? 1- Ask a friend (yes, ask a friend) if they have used any proofreading services company before and if they were happy with it and were able to recommend it. Do not be surprised that I suggested asking a friend, rather than going straight to Google. 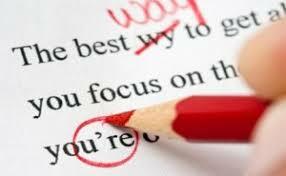 Tried and tested proofreading and editing services are the safer option. 2- If no luck with asking a friend, then Google the word closest to your needs and location, such as “proofreading services for students and academics in UK” (if you are an MA or PhD student), or “proofreading services for businesses UK” (if you are a company owner)…etc. 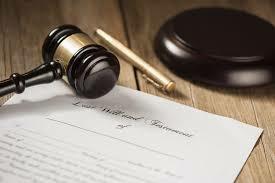 3- DO NOT take the promises of offering the best proofreading services out there at face value. DO NOT look only at the first 5 or 6 search results. 4- Read carefully what each editing and proofreading services website says and you will certainly be able to narrow down your choice to perhaps two or three potential suppliers. 5- Once you have narrowed down your potential proofreading services suppliers, write to them and ASK FOR A FREE SAMPLE. Why a free sample is essential in making your decision? 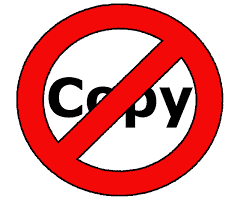 Think about it this way: If I am, as a provider of proofreading and editing services, truly confident enough about the quality of my service, why should I refuse to do a free sample of even 100 words? Waste of time? No, it is a natural right for the client to want to see the quality of the service they are going to pay for. 6- Try to have at least 2 samples proofread and edited by two different suppliers; this will give you a chance to compare and see which one of them is better. The prices of proofreading services offered and the turnaround times will also be factored in, but quality and only quality should ideally be your ultimate guiding point. What is the point of spending less and going for a cheaper option if the quality is poor which will cause you damage, rather than good. 7- This way you will have narrowed down your list of potential proofreading services providers to the one of your choice, to the one that you feel and trust to leave your document with.